Like every film, Haseena Parkar too went through the procedure of film certification and the Central Board of Film Certification has cleared the film with just two minor cuts and a U/A certificate. The film has Shraddha Kapoor playing the lead role of the lady gangster, Haseena Parkar. Director Apoorva Lakhia talked to a leading daily about their interaction with the CBFC and said, “They requested one word ‘charas’ to be muted and one cut where a woman is shown being assaulted during riots. That’s it. I happily went with these cuts. No argument. The cuts made sense. I must say the censor experience was quick and pleasant. We were in at 6 pm and out in a few hours. We got a ‘U/A’ with hardly any cuts.” The audience will see Shraddha in a never seen before avatar as a middle-aged lady gangster, who was also the sister of Dawood Ibrahim. 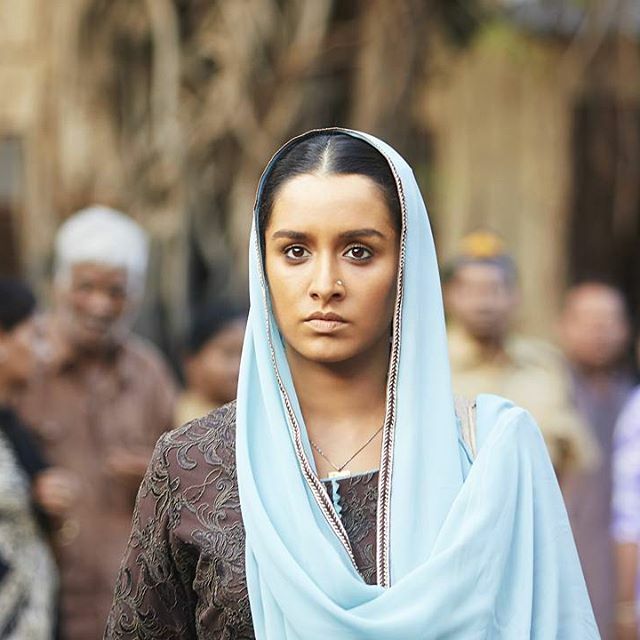 Shraddha has so far played chirpy roles of girl-next-door and Haseena Parkar is surely going to surprise the audience. The unique part of the film is that Shraddha’s real life brother Siddhanth Kapoor will be playing the role of Dawood Ibrahim. The film has so far faced several delays due to numerous reasons and is finally going to be released on September 22, 2017 and will be clashing with the Sanjay Dutt starrer Bhoomi. Haseena Parkar is a biographical crime film which will narrate the story of Dawood Ibrahim’s sister Haseena Parkar. The film also stars Ankur Bhatia, who will be seen playing Haseena’s husband Ibrahim Parkar. Shraddha will also be seen playing the role of a mother of four children in this film. The makers had initially named the film as Haseena Parkar: Queen of Mumbai but later changed it to just Haseena Parkar. Two of the songs have been released by the makers so far and have already become popular among the listeners. The music of the film has been composed by Sachin-Jigar.